For six months my husband received chemotherapy once every fourteen days. I would sit with him while the drugs fell down the drip in a race to his veins. Some days his neighbours would be withdrawn. Other times I would sit next to someone who just wanted to chat for the five or so hours it took for the infusion to happen. We met some of the most feisty, gutsy men and women on these days: warriors who lost breasts, bladders and colons but still refuse to let death win. On the days when I sat next to someone quiet I would look around the room and remember how fragile life is. And how brave, beautiful and inspiring the people who choose life in the midst of pain, suffering and illness are. I learnt so much about life during my time in the treatment room. I realised I can choose life. So often I have taken that to mean choose God. Watching my husband’s fellow oncology patients, I discovered I can either let death steal from me, or I can choose to fight for the life I want. These men and women I met each week fought for life. On the other hand I thought about how many times I am complacent in my life. I forget that when I was young I dreamt of a life filled with adventure. I dreamed big for God and expected that he would fulfill the desires he put in my heart. Each time I fail to pursue the life I believe God has given me, I am choosing death. In the treatment room the choice is painfully apparent: life or death. Often I pretend that I’ll be able to select one of these options forever: life or death. The truth is I am not able to. It is time to start choosing to fight for the life that I desperately want. 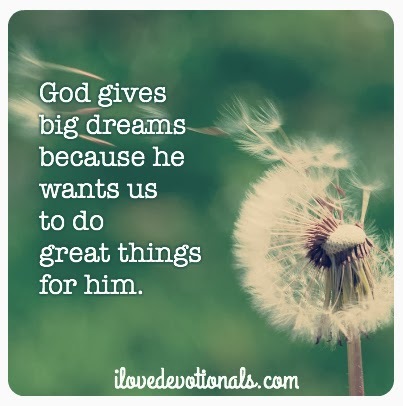 Ponder: What does the life you want look like? What choice have you made recently to fight for the life you want? 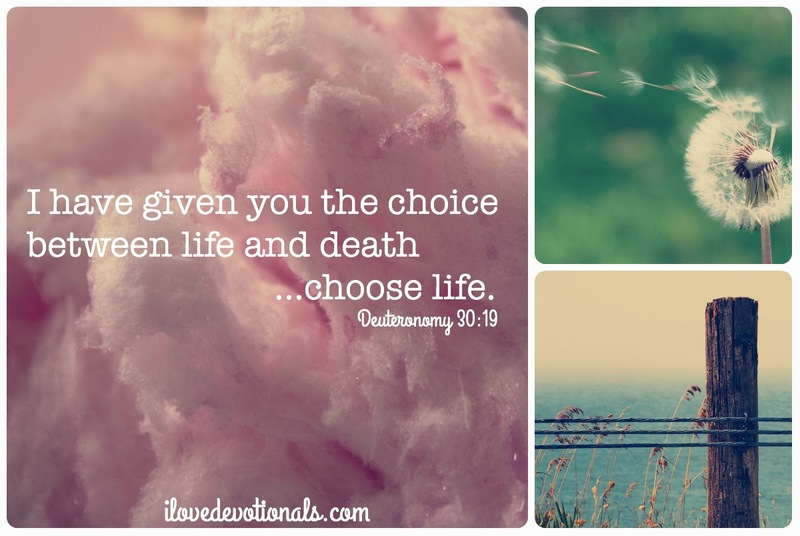 Pray: Lord Jesus, I want to choose life. Remind me of the dreams you’ve given me and show me the path you want me to take. Amen.